Civil organisations say the public broadcaster has given no evidence to back its protest footage decision. Members of The Right to Know campaign gathered in front of the SABC building in Sea Point. Picture: Shamiela Fisher/EWN. 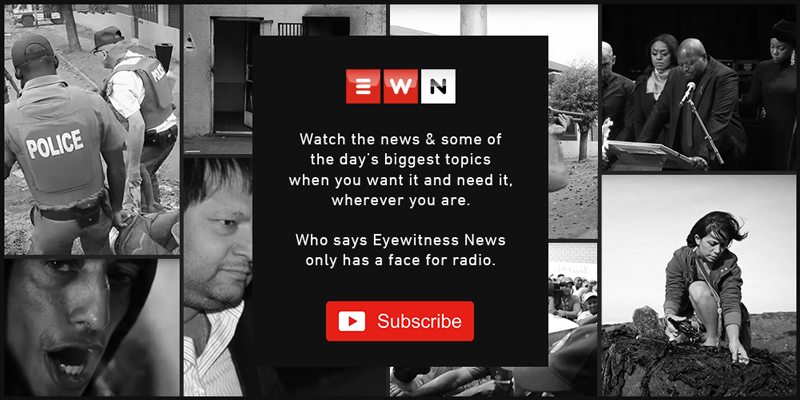 JOHANNESBURG - The attorneys defending civil organisation groups, who have lodged complaints over the South African Broadcasting Corporation's (SABC) protest footage decision, say the public broadcaster has given no evidence to prove a link between airing of violent protests and an increase in protests. Media Monitoring Africa together with three other civil organisations are presenting its case to Independent Communications Authority of South Africa's (Icasa) complaints committee, over the SABC's decision. SABC COO Hlaudi Motsoeneng made the announcement last month, saying broadcasting the destruction of government property on television causes others to do the same in their communities. Daria Milo, who is representing the complainants, says the SABC has a public responsibility to air the full protest. Meanwhile, SABC representative Bantubonke Dakota says the public broadcaster has the responsibility to edit its work and protect viewers from violent imagery. Milo says this contradicts the SABC's statement released in May, announcing that scenes of violent protests would not be aired. "The logical conclusion of the SABC's argument, which is that it was against the law for them to broadcast this, is that they have been breaking the law all along. Until they impose this new policy, they have been breaking the law." He adds the SABC is doing a disservice to communities by not showing the full story at a protest.